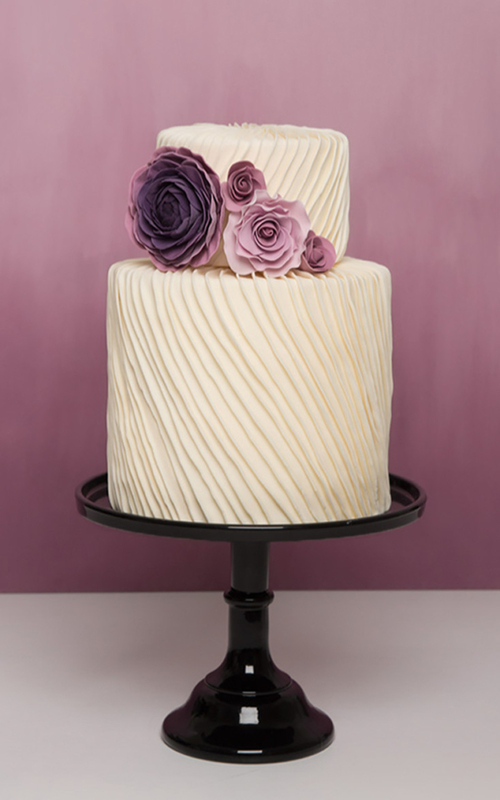 Pleated modern wedding cake – This unique two tiered cake has a modern silhouette with its mix of deep and shallow tiers. 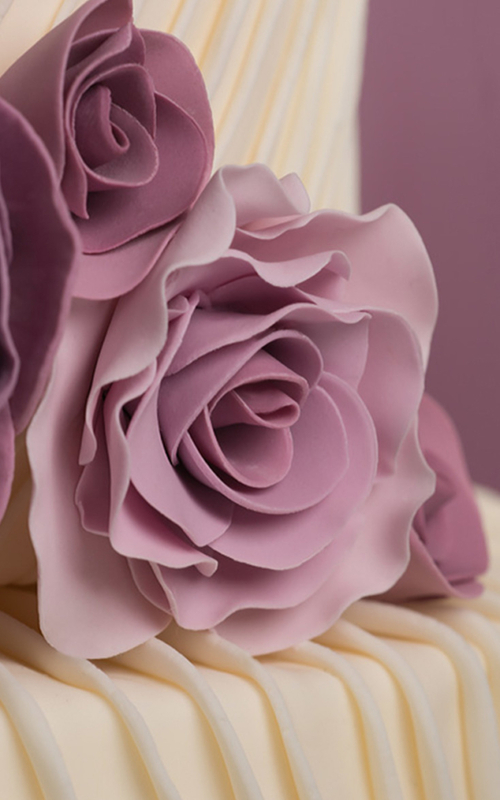 Delicate pleats are intricately arranged to create this elegant design. 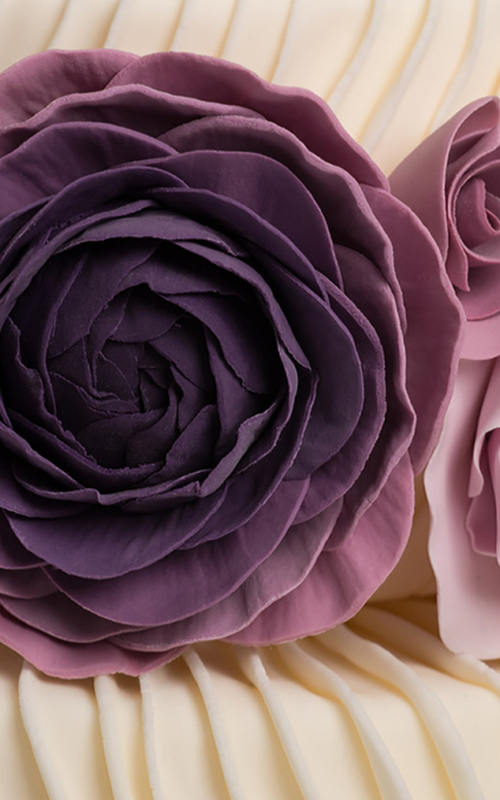 Further embellished with ranunculus and roses in muted shades of purple and pinks.